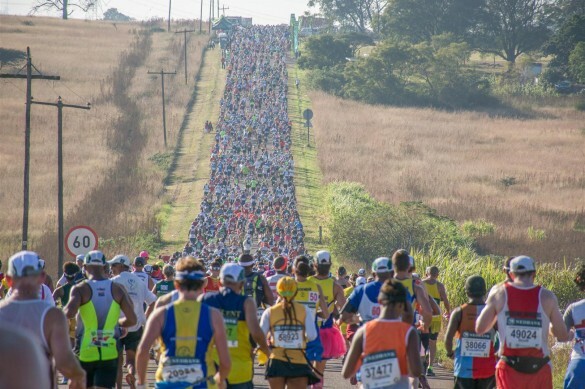 The Comrades Marathon is the most famous Ultra Marathon of them all - a notoriously tough 90km, through the stunning Drakensburg Mountains of KwaZulu Natal. The event is steeped in hisotry which dates back to its first running in 1921. The race alternatives between 'Up' years and 'Down' depending on whether it starts in Durban on the coast and runs up to Pietermarizburg or runs down to Durban from Pietermaritzburg. Don't be deceived by those simple descriptions there are five major hills on the course and there is plenty of climbing and descending whichever direction the route follows. Despite the distance, the hills and a strict 12-hour cut off, the race takes 25,000, which dwarfs any other ultra-distance event. 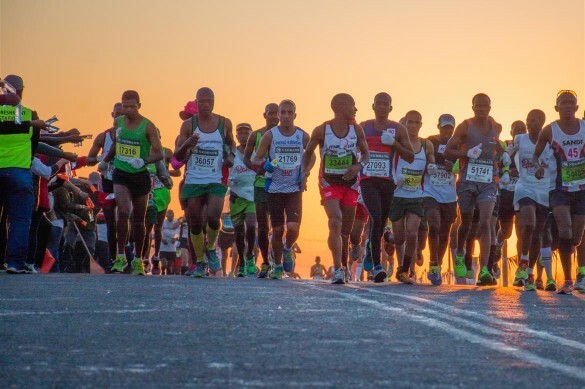 The 2019 edition is an 'Up' run so the start is in Durban with the finish in Pietermaritzburg. 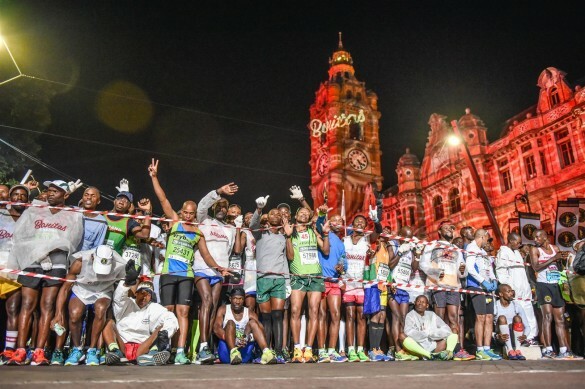 Our tour is based in Durban with the night after the race in Pietermarizburg so that you are very close to the start on race day and and don't have any travelling to do after running. Your luggage will be transferred to your hotel in Pietermaritzburg while you run the race so you just need to check in to your hotel room to relax and recover after the run. 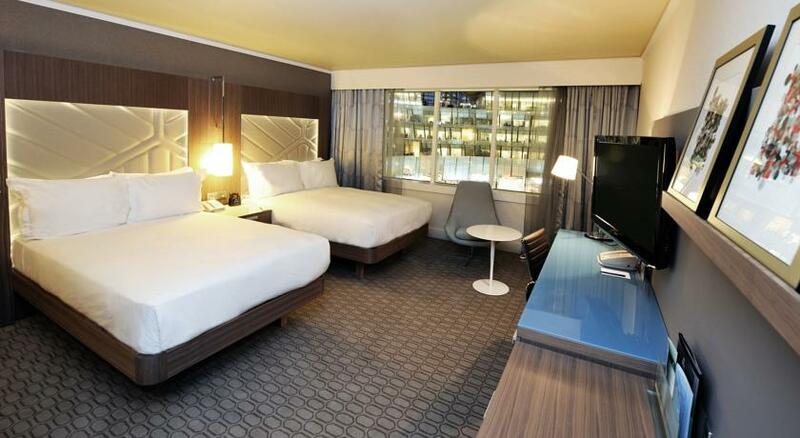 The hotel is short walk from the finish line and we will have staff on hand to assist you at the finish. We have limited guaranteed race entry for those booking on our 4-star hotel package. Situated just 200 metres from the beach, along Durban’s Golden Mile, Southern Sun Elangeni & Maharani overlooks the Indian Ocean. The hotel also offers 24 hour room service, complimentary Wi-Fi, two gyms, a Spa, three swimming pools and six restaurants/bars. The modern, air-conditioned rooms all feature ocean views and come with tea and coffee making facilities. The ensuite bathrooms include a bath and shower. Suncoast Casino is just 1.5kms from the hotel, and uShaka Marine World is 3kms away. King Shaka International Airport is 30kms away. Situated in Pietermaritzburg, overlooking the Scottsville Racecourse (Comrades Marathon Race Finish) ithis hotel is perfectly located for weary runners to stay after the race. The hotel also offers 18-hour room service, complimentary Wi-Fi, an outdoor swimming pool and numerous restaurants. The comfortable air-conditioned rooms all feature tea-and-coffee making facilities and ensuite bathrooms with bath and shower. As part of its rich heritage and unique appeal, Southern Sun Pietermaritzburg also offers excellent gaming facilities at the hotels Golden Horse Casino. King Shaka International Airport is 100kms away. Thu 6 June: Arrive in Durban on your own booked flight. 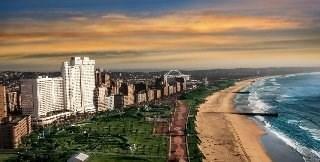 On arrival at Durban Airport you will be met by our local agent and transferred to your hotel. We are once again using the 4-star Southern Sun Elengeni Maharani Hotel, located on the beach and 20mins walk from the race expo and start area. Fri 7 June: Relaxation time and register at the Expo in Durban. Optional tour of the course from the Expo. Breakfast included. Sun 9 June: The day you have been training so hard for is finally here! Please check out of your room and leave luggage with our staff before leaving for the race – we will take your luggage to Pietermarizburg for you while you run Comrades. Your hotel is a short distance to the race start so we will shuttle you to the start. Clients of ours not running Comrades will be transported at 08h00 from the hotel and taken directly to the hotel in Pietermaritzburg. After finishing the race please meet Penthouse Travel Sporting Tours staff at the designated meeting point. When you are ready to go to your hotel you can ask our staff for assistance/to direct you to the closest exit so you can walk to your hotel next to the finish area. Upon arrival at your hotel you can collect your luggage from reception and check in for the night. Time now to relax and celebrate! You deserve it! Note: The hotel has several eating establishments. Early Breakfast included. Mon 10 June Bend your knees (if you can) and congratulate yourself! Transport to Durban King Shaka Airport is included this day. The journey to the airport is expected to take approx. 70 minutes and will arrive between 10h00 and 11h00. Please schedule your onward flight with this in mind or ask us to book extra nights in Durban for you. (Own place runners deposit is the same as the non-runner/supporter deposit). Note that since the race has already filled its 25,000 entries for 2019, we have a very limited number of guaranteed entries for intenational runners, but they are limited and entries must be submitted before December 10, 2018. No exceptions.